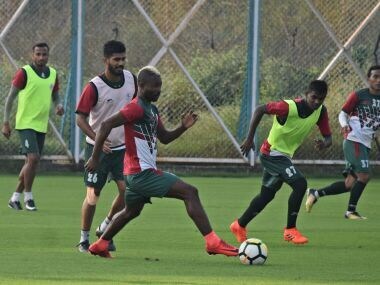 Former champions Mohun Bagan suffered a disaster at their home ground with a 1-2 loss to 10-man Chennai City FC in an I-League football fixture in Kolkata on Tuesday. Mohun Bagan coach Sanjoy Sen has been in the line of fire and the latest draw did not go well at their home ground as supporters demanded his sacking shouting 'go back' slogans. 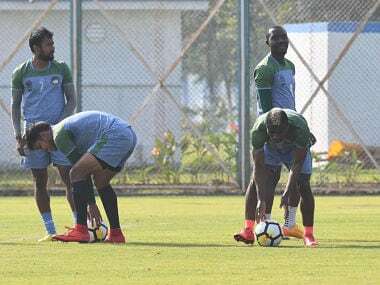 The Mohun Bagan ground, which has had an average attendance of 20,000 in their Calcutta Football League matches this year, is all set to make its debut in the I-League. Skipper and goalkeeper Shilton Paul pleaded the Mohun Bagan supporters to throng the stadium in large numbers for the game. Less-fancied Shillong Lajong held favourites but a depleted Mohun Bagan to a 1-1 draw in an I-League encounter at the Salt lake Stadium on Thursday. 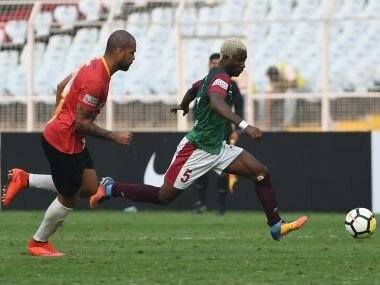 Having held by Minerva by a last-minute equaliser in the season opener, Mohun Bagan have bounced back in style with a derby win followed by a 5-0 thrashing of Churchill Brothers. 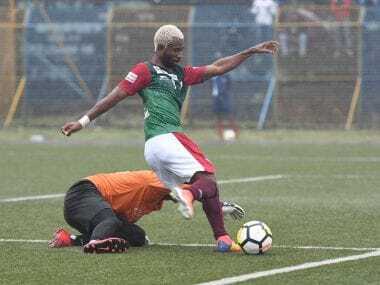 Mohun Bagan's five-star show also matched their arch-rival East Bengal's 5-1 rout of Shillong Lajong at the same venue on Saturday. 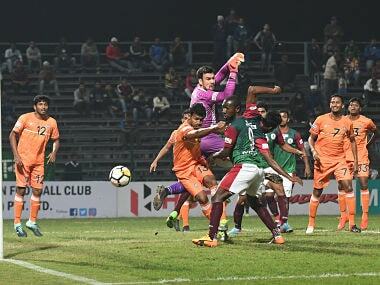 A 1-0 win over East Bengal handed Mohun Bagan a crucial win as they set the ball rolling in the domestic campaign, in search for their second I-League title. 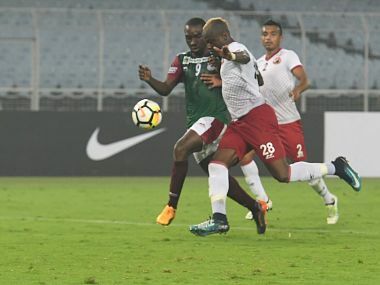 Kingsley scored off a low but powerful header from a Sony Norde corner kick to help Mohun Bagan break an anxious 40 minutes stalemate for the former champions.